While preparing resume, it becomes tough to choose between words that can describe you aptly. Here is a list of words that will talk on your behalf with the hiring manager in the best possible manner. For a hiring manager, shortlisting Resume/CV is a cumbersome task because there are hundreds of candidates who apply for the vacancy. Among the stack of Resume spread across haphazardly on the desk of the hiring managers, it is important that you make your resume strikingly different from the bunch of others. Also, remember that it is your skills that will get you the desired position in the organisation. So, it is important to understand the relevance of skills in the Job Market. If we go by the dictionary meaning, then the ability to perform a task with expertise is a skill. So, when you apply for the job, read the job description (JD) carefully. It will help you understand the right skills that are required in the job. After analysing the JD, go back to your CV/Resume and check if the skills required for the job are mentioned in it. If not, then make sure that you update your CV before sending it to the concerned HR personnel. Using the appropriate set of words that can define your skills concretely will make it easier for the recruiters to connect with you and dig deeper in your existing skill set. For say, you apply for the job of a data entry operator, but you also have a knowledge of ‘Telly 9.0’ software. In this case, do not miss out on mentioning this skill in your CV. You never know that the recruiter considers this skill as an added advantage to hire you from the existing lot of applicants. Why to use relevant Action Words? Within a span of merely 3-4 minutes the recruiter would scan your resume to finalise whether you get a foot in the door or not. We are sure you would not want to face rejection at the preliminary stage. And when you only have barely few minutes to show how good you really are, then those minutes must define your skills accurately. So, here is a list of few verbs and adjectives that you can use to sell yourself for the job being floated by the recruiter. By using this precise vocabulary you will make the best impression possible. We hope that the list of these words will make your Resume impactful and convincing for the hiring manager to connect with you. Remember that it is your skills that will get you hired. Your personality, dressing, appearance and other hobbies are a subset of soft skills. They will enable you to survive in the job for long run, but if you do not have the requisite skills for say knowledge of Java in the programming job, creative writing skills for job in publishing house; then do not expect to get hired. 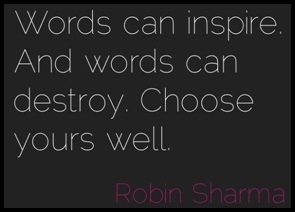 Going by this mantra, it is simple to express yourself choosing the right set of words. We wish you great luck for the next hiring!